Review: "Cleveland Orchestra Youth Orchestra caps off its 30th-anniversary season"
Cleveland Classical has published a review of the final concert of the Cleveland Orchestra Youth Orchestra's 2015-16 season. 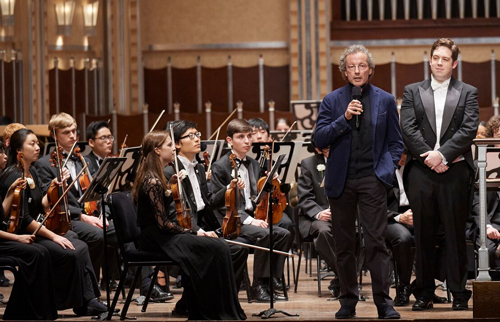 Last Sunday afternoon, May 8, in Severance Hall, the Cleveland Orchestra Youth Orchestra presented the third and final concert of its 30th-anniversary season under its talented music director, Brett Mitchell. The concert’s stylistic range was remarkable given the age of its participants. In remarks from the stage before the second half, Cleveland Orchestra music director Franz Welser-Möst suggested that more than a few professional orchestras would be challenged to equal COYO’s accomplishments... Given the orchestra’s age range of 12-18, their consistent technical skill and maturity of interpretation were amazing.